The neo-impressionist masterpieces on loan from the Musée d’Orsay in Paris, the Guggenheim Museum and the Metropolitan in New York can still be seen at the Palazzo Reale in Milan up to January 25 2009 in the exhibition Georges Pierre SEURAT, Paul SIGNAC and the Neo-impressionists. This season’s Impressionist and Modern Art sales held in London proved an outstanding success. Four new records were set on 20 June at Sotheby’s evening sale, which generated close to GBP 46 million for a total of 37 lots. From 15 March to 10 July 2005, the Musée d’Orsay is showing 120 neo-impressionist paintings as part of its major exhibition entitled « Neo-Impressionism: from Seurat to Paul Klee ». The exhibition begins with works by Georges Seurat, the movement’s founder, and rounds off with works by artists who were influenced by the movement, such as Matisse, Derain, Kandinsky and Maurice de Vlaminck. 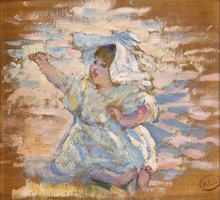 Updated on 26 Apr 2019: Henri Edmond CROSS (1856-1910) is an artist born in 1856 The oldest auction result ever registered on the website for an artwork by this artist is a drawing-watercolor sold in 1983, at Christie's , and the most recent auction result is a painting sold in 2019. Artprice.com's price levels for this artist are based on 1,275 auction results. Especially: painting, print-multiple, sculpture-volume, drawing-watercolor. 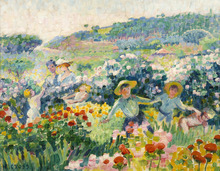 2 art works by artist Henri Edmond CROSS (1856-1910) will soon be available in auction rooms. You can also discover 6 artwork(s) currently for sale on Artprice's Marketplace. , sold by 5 Artprice store(s).